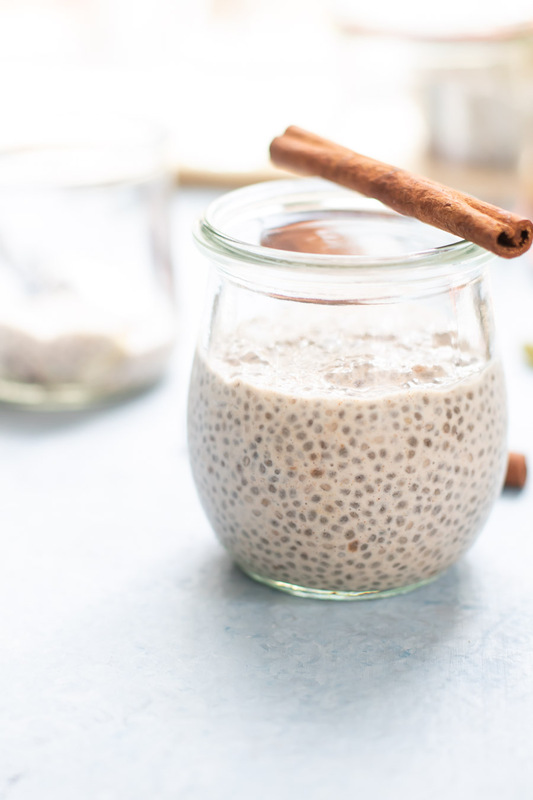 This Chai-Spiced Chia Pudding with collagen combines warm spices in a cool, creamy pudding that’s perfect for a quick breakfast or snack. This post is sponsored by my friends at Sprouts Farmers Market. 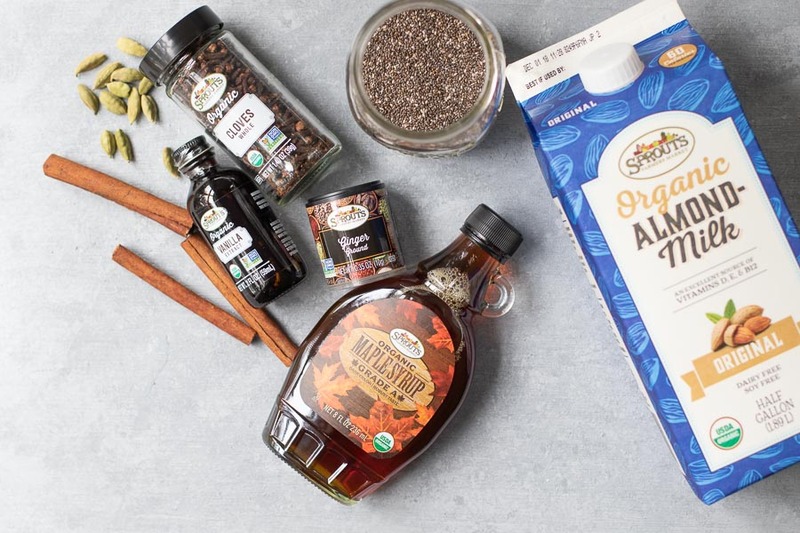 I shared this chai-spiced chia pudding for this month’s cooking demo at Sprouts. The theme was all about fall superfoods. Tasked to share ways to add a nutrition boost to common recipes, I created this delicious new recipe for weekly meal prep breakfasts or even a healthier dessert. This one may not seem so regular but hear me out. It’s packed with warm, comforting spices including cinnamon, cardamom (the green pods above), cloves, ginger, and a pinch of black pepper. To sweeten it up, I used a bit of maple syrup which you can adjust to your liking. I added collagen because of the potential health benefits and the fact that it dissolves effortlessly in any kind of liquid. To make this recipe, you’ll need to whisk together the milk and collagen to start. Then add the spices, sweetener, and finally the chia seeds. 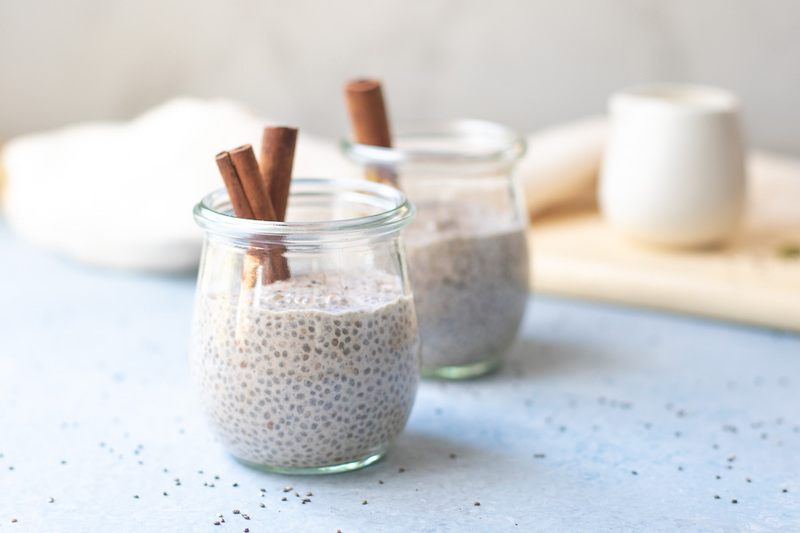 Getting the ratio of liquid to chia seeds plus allowing enough chill time to set are the key factors for a successful chia seed pudding. 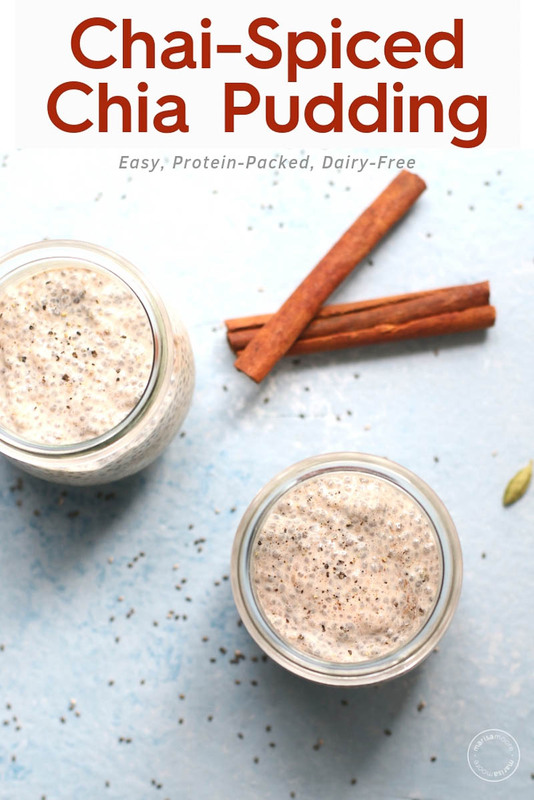 This chai spiced chia pudding is no exception. 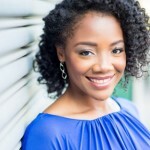 TIP: I noticed something in making a big batch for my demo this week that I want to share. After you stir the chia and milk mixture and put it into the refrigerator, go back and give it a stir after a couple hours. This way, you’ll make sure the chia seeds are suspended in the liquid not all hanging out at the bottom of the bowl. I have been drinking chai since my first year working as an inpatient dietitian in the hospital. I remember it so well because my co-worker tried a packet of my chai “tea” and couldn’t understand “why I was drinking that spicy tea!” I was in love and never ever looked back. Today, I drink chai throughout the year and I’ve learned a lot about it over the years. Traditionally, chai is a blend of warming spices and tea steeped with milk. There is no reason to say chai + tea because it’s like saying “tea tea.” It’s incredibly comforting and forgiving to make your own. Cardamom, ginger, and cinnamon are key ingredients to include but you can add your favorites to flavor it as you’d like. 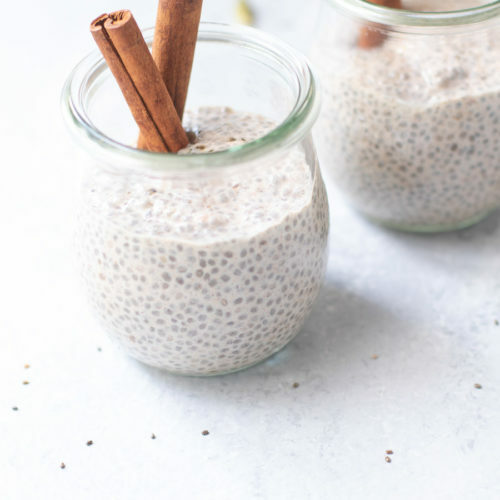 This Chai-Spiced Chia Pudding with collagen combines warm spices in a cool, creamy pudding that’s perfect for a quick breakfast or snack or healthier dessert. In a medium bowl, whisk the milk and collagen until dissolved. Add the vanilla extract, maple syrup, and spices and whisk until combined. Stir in the chia seeds, cover and refrigerate overnight (or at least 3 hours). After about 2 hours - Stir at least once to make sure the chia seeds didn't all sink to the bottom. Once the pudding is set, spoon into a serving dish. Top with extra cinnamon and a sprinkle of black pepper if desired and serve. I used Sprouts brand Almondmilk and Sprouts Organic maple syrup, vanilla extract, cinnamon, ginger, and cloves. You’ll find chia seeds in the bulk bins! This is the perfect recipe for breakfast. Even for dessert too. Simple and nourishing. This is such a great idea! I always love chai flavored things, especially in the fall. Excellent recipe! I love that this can be breakfast and dessert! Yum! What an awesome flavor for a pudding. I am loving all the ingredients in there.. What an amazingly tasty way to be healthy. Wow, this sounds amazing. I LOVE chai spices, as they are so warming and comfting. They must be great with the chia!